Western Mechanical was awarded a place on the Design/Assist -Team Construct project for the New Providence Park Hospital in Novi, Mich. As the first and most clinically advanced hospital to open in southeast Michigan in more than 20 years, the leading-edge medical center will bring with it more than 1,200 new jobs and an economic impact of approximately $80 million annually. The 200-bed, $229 million hospital is the largest acuity adaptable hospital in the country, meaning the rooms are designed to allow patients to remain in one room throughout their stay while still receiving the highest quality of care as their condition changes. Typically, patients would be transferred to various units for each stage of their care, but a flexible design approach and advanced ICU-like technologies in every room at Providence Park Hospital enable clinicians to deliver a safer model of care that minimizes patient transfers and reduces health care costs. Specialty programs at Providence Park Hospital include Neurosciences, Orthopedics, Women’s Services, Cardiology, Oncology and minimally invasive Surgical Services. The new hospital also features a 24-Hour Emergency Department with 49 individual treatment rooms and capacity to treat more than 60,000 patients a year. The entire third floor of Providence Park Hospital is dedicated to comprehensive Women’s and Infant Health services and includes 27 Labor/Delivery/Recovery/Post-Partum (LDRP) rooms with sleeping areas for spouses and families, a 15 bed special care nursery, dedicated operating rooms, and a Gynecology unit. Additional services include state-of-the-art imaging technologies, an advanced robotic x-ray controlled catheterization lab imaging system; pediatric care and dedicated pediatric emergency services. The Kellogg Eye Center expansion encompasses 222,000 square-feet that nearly doubles the University’s previous space for eye care, education and research. Western Mechanical’s design team met the challenges of coordinating the multiple piping and duct systems that included pitched sanitary drains, domestic water, purified water, acid waste, medical gas piping, natural gas, etc. The norm in today’s budget conscious designs requires 3D CAD drawings to coordinate and work out any conflicts prior to sign off for installation. Our team takes great pride in the challenges posed by this type of research facility. The $121 million addition is a model for other vision centers and allows the U-M Health System to serve an aging population. Baby Boomers are just beginning to turn 60, an age at which many start to experience cataracts, glaucoma, age-related macular degeneration (AMD), and other conditions of the aging eye. Current projections forecast growing demand for technological vision-care advances, ranging from genetic testing for eye disease, to “bladeless” laser surgery, to new kinds of lenses that can be implanted to improve vision after cataract surgery. The Kellogg Eye Center has experienced 11 percent growth in patient visits in each of the last seven years and expects even faster growth as the aging boomer population peaks in the next 10 to 15 years. By 2030, 25 percent of Michigan’s population will be 60 years or older, placing a strain on medical centers that have not planned for growth. The new Eye Center will serve these patients with state of- the-art clinics, educational facilities, and laboratories where scientists will have the resources to accelerate research on eye disease and treatments. Western Mechanical performed the Plumbing, Mechanical Piping and Medical Gas Systems on four separate construction packages in the 2008 – 2010 Master Program. 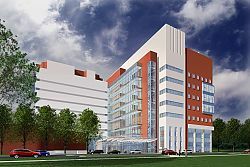 The projects include a 223,000 square foot Emergency Center and Critical Care Tower, the Vertical Expansion of the West Bed Tower, the Loading Dock and Powerhouse Expansion, and a 5,400-square-foot MRI addition. The total program cost of $213 million represents William Beaumont Hospital’s continuing commitment to serving the healthcare needs of our community. During the 1920s, when the 32-story Book Cadillac Hotel opened its doors in Detroit, it was tallest building in the state, the tallest hotel in the world and, in terms of square footage, the largest of its kind outside of New York City. 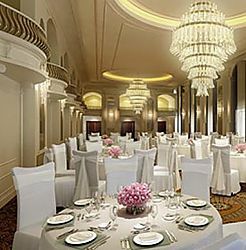 In its days of glory, the hotel featured its own radio station that was housed on its top floor, hosted five different presidents as well as numerous movie stars and sports legends. 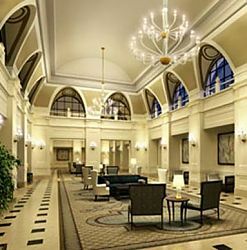 The historic renovation of the former Book Cadillac Hotel into the new Westin Book Cadillac Hotel sparked great interest and admiration among residents of Detroit. Floors 7 through 23 now function as the 455 room hotel, while floors 24 through 29 were converted into 67 for-sale luxury condominiums. Western Mechanical provided many cost saving suggestions during the bid and negotiation process. Part of our cost saving strategy was the opportunity for fabrication due to the repetitive nature of the work. Custom material handling carts were built to transport the pipe, valves and fittings to each predetermined room. Special consideration was needed to determine how many carts could be shipped at one time and how many would fit on the construction elevator. Night and weekend deliveries were necessary to schedule and share the elevator with other trades. Our team worked with the mechanical engineers to solve various challenges that inevitably crop up with a project of this magnitude. We were able to minimize the cost impacts and stay on schedule. The once faded queen of the Detroit hotels is now complete and the new Westin Book Cadillac Hotel opened for business in October of 2008. Western Mechanical is very proud to have been part of this notable historic renovation. Western Mechanical was awarded the plumbing work for the east side of the 400,000-square-foot addition. The project includes two multi-story masonry structures on both the east and west sides of the stadium; the end zones will remain open. The structures, which will stand 10 feet higher than the current scoreboards at their highest point, include 83 suites and 3,000 club seats. 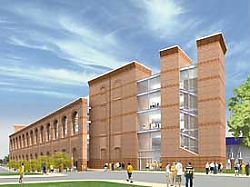 When the renovations are complete, the capacity of the Big House will top 108,000. Two new concourse buildings are constructed adjacent to the north and south end zones. These buildings house additional restrooms and concessions, and support functions such as first-aid, police/security and will-call. The structures are covered in the same brickwork as the new sideline buildings. Stadium improvements include an increase in the number and quality of restrooms; more concession stands with a greater variety of fare; wider aisles; handrails; additional entry and exit points for improved crowd circulation and safety; and additional dedicated seating for fans with impaired mobility. Construction work is expected to be completed prior to the 2010 fall football season. Cobo Center is a world-class meeting and convention facility located in downtown Detroit, situated along the newly restored international riverfront. With 723,000 square feet of exhibit space, it is home to one of the largest contiguous exhibit floor spaces in North America. Throughout a five year, multi-phased $279M upgrade project, Cobo Center has completed its transformation into a state-of-the-art facility for the years to come. Repairs and improvements to reduce roof leakage and to provide necessary drainage to refurbish exhibitor utility floor boxes. Refurbish the air handling systems to improve efficiency and extend the operation life. Plumbing systems upgrades, including exhibition halls. Addition of 22,500 square feet of exhibition space and loading docks, contiguous with the existing loading docks. These improvements contributed to the nearly $2 Million in energy savings realized in 2012. 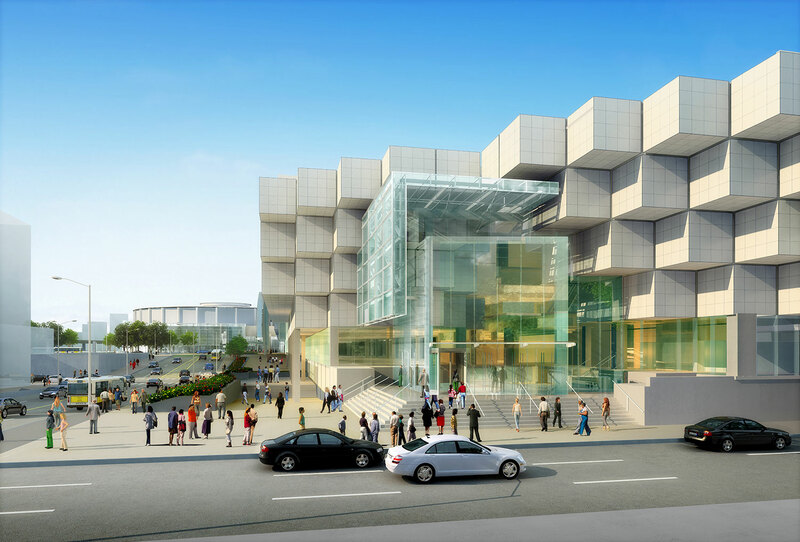 Redevelopment of South-Side of Cobo along the Detroit River, reorganizing space and creating pre-function areas, new meeting and breakout rooms, two new "junior" ballrooms, and integration of space with new Atrium. Create back-of-house storage and service circulation areas. 615 Lafayette in Detroit, Michigan was previously known as the Detroit News Building. It was built in 1916 and received a complete renovation in 2016. It now serves as a multi-tenant office tower. Western Mechanical installed completely new plumbing and mechanical systems throughout the 311,787 sq ft.building. The scope of the work included installing a new boiler plant, modular chillers, custom air handlers, and a new cooling tower which provided improved system capacity for the new use of the building. The project took around a year and a half to complete, from December of 2015 to June of 2016. 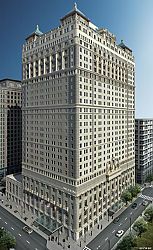 615 Lafayette provides a fresh home for companies such as, Quicken Loans, Molina Healthcare, and others. The renovation created jobs for dozens of people in the Metro-Detroit area. 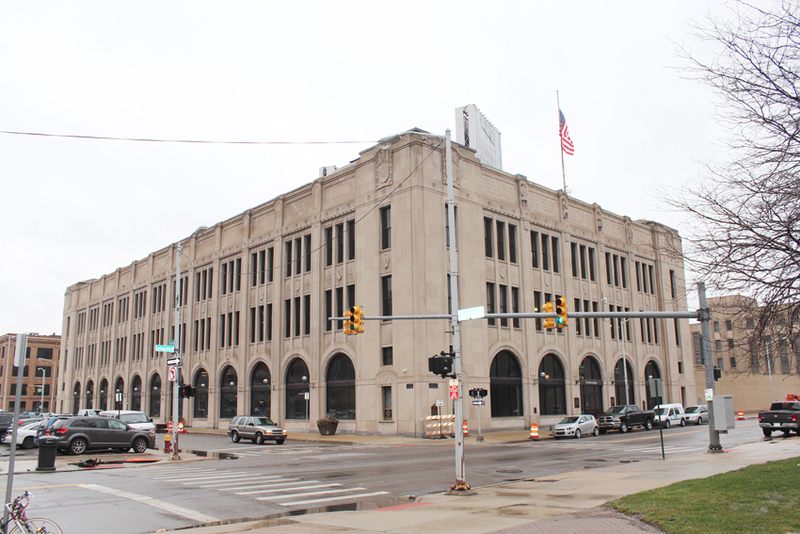 Since then, 1,350 people have been employed at the 615 Lafayette building.